Lifelogging—the act of recording your every waking moment—has been declared dead numerous times. But now it looks like Google is trying to resuscitate the movement with a new camera it introduced at its Pixel 2 event on Wednesday. 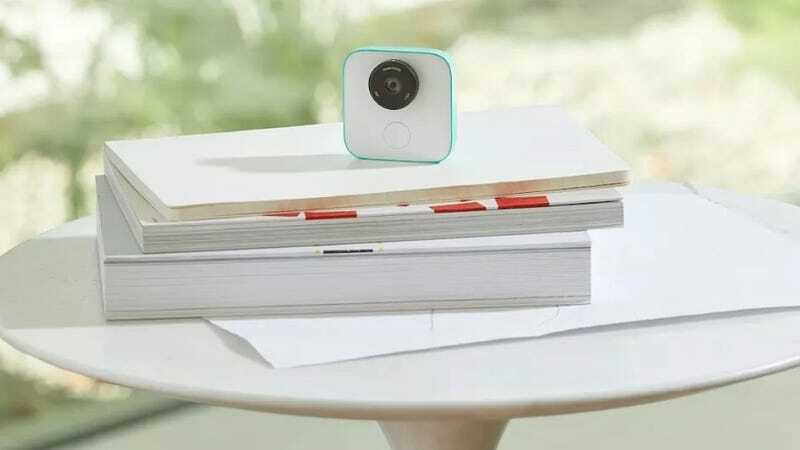 Google Clips is a portable camera that takes photos and videos for you. According to Google, the AI-powered camera will learn to capture photos of the people and pets—cats and dogs— you are with most often. The device can be clipped on or set down somewhere, or you can just hold it in your hand. It connects to your phone, where you can share your “clips”—or curated moments—via an app. For Google, Clips falls in line with the intended theme of today’s event: harmoniously combining AI, software, and hardware. But the device hinges on the assumption that you have a desire to constantly capture your life on camera, and that this desire is not already satisfied by your phone. Google is primarily targeting parents of young kids and pet owners at the moment. For anyone else, it sounds like a tough sell. The device costs $249. While you can’t order it online just yet, you can join Google’s waitlist.